Karambit knife 8.5 inch length. 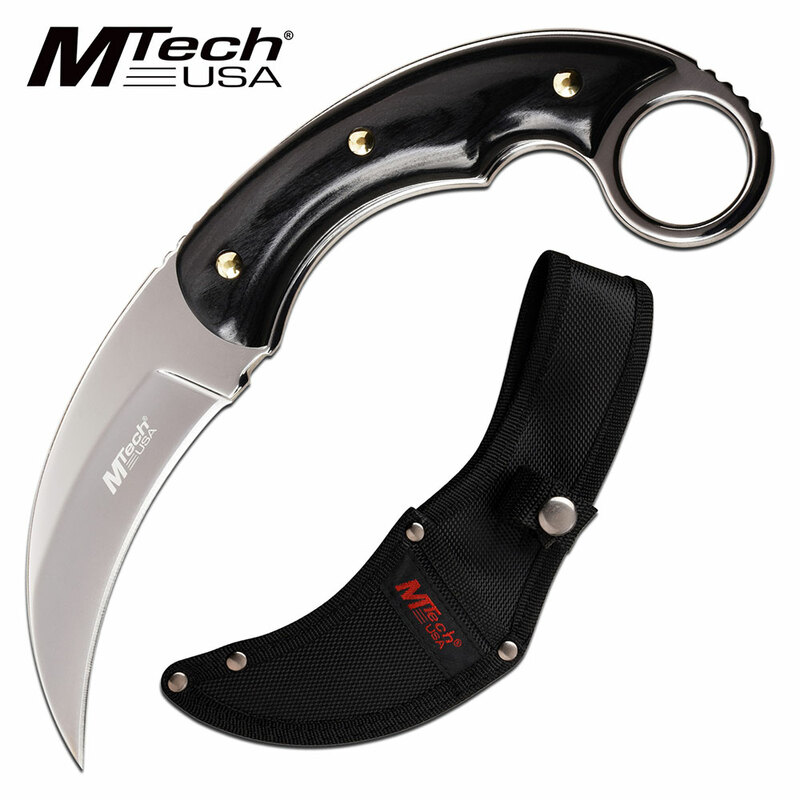 The fixed blade knife has a thumb ring and comes with a nylon sheath. 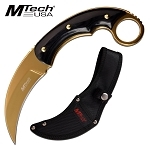 Karambit fixed blade knife with thumb ring and gold polished blade. The knife overall length is 8.5 inches long. Blade is constructed from 3cr13 steel and length is 3.5 inches long. The handle is 5 inches long polished pakkawood.